CAO America is still our cigar of choice on American holidays. It’s not just the band and the name, but this particular cigar is also made with at least some tobacco which is grown right here in the USA. 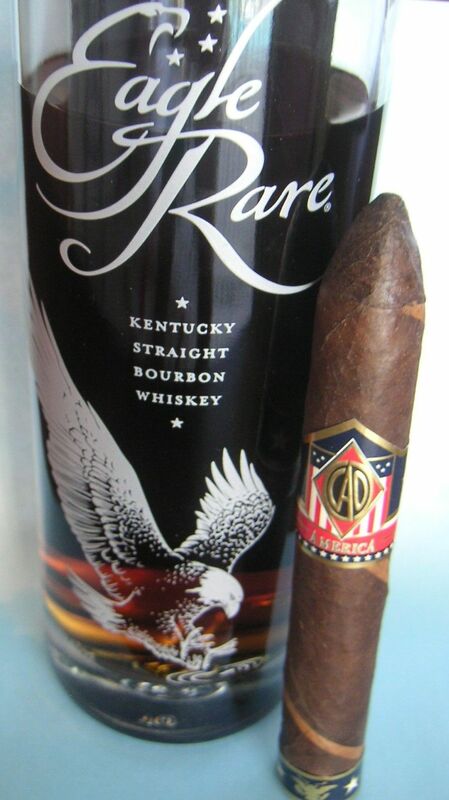 CAO America pairs very well with Eagle Rare, a bourbon which is also made in the USA. Therefore, on Independence Day and every American holiday, be extra proud to Be an American, Smoke American, and Drink American! This entry was posted in Uncategorized and tagged american cigars, cao america, eagle rare, july 4 cigar, patriotic cigar on June 24, 2016 by CigarCzars.